Improve your vision and relieve eye strain with the Robotouch Eye Massager. This product uses vibration frequency to gently massage your temples and a combination of lukewarm infrared heating and light air-massage to relax your eyes. The music player component integrated in the iRest Eye Massager lets you add and play your favourite music as you sit back and unwind to some gentle eye and temple massages. Tense muscles, Aching back, Tight shoulder, We get it. RoboTouch Spirit Massager give you more ways to unwind. Attach the pinpoint node for intense, targeted relief or the ball node for a more generalized massage. Wide coverage attachment helps ease larger muscle groups. Vibration of relaxed comfort brain function, help relieve Music Head Massager muscle tension of the head and neck and promote blood circulation. Soothing heat-Alleviate the effects of warm and soft, not only can promote blood circulation, but also. Air pressure massage-Promote blood circulation, relieve fatigue, quick release head pressure. Ergonomic design for a perfect fit-Based on ergonomic design, with the head completely close fitting curves for a variety of head circumference. Adjustable-To ensure that each massage when you can get the most out of the massage effect. MP3 music-Comes with headphones and built-in speakers, allowing you to find the balance of feelings and needs, random music with SD Card that you can download music comes with headphones and built-in speakers, allowing you to find the balance of feelings and needs, random music with SD Card that you can download music from the website, and choose the most appropriate music. 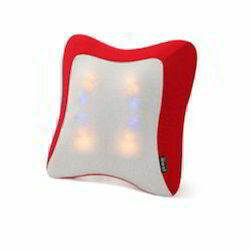 Hot Compress Massage Mode (low & high temperature). Enjoy music while massaging. 3 types of music: Relaxing music, Brainwave music and Nature music. The Robotouch Ultra Pro Compact Massage Slimming Belt is the latest addition to our range of slimming belts. It is small yet effective, low on power consumption but still powerful enough to meet your slimming and massage requirements. 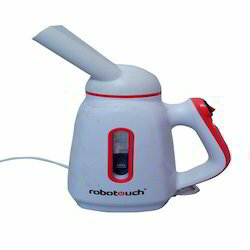 The Robotouch works on vibration + oscillation methods and has got various modes and speeds to adjust to different body needs. It comes with an extendable belt makes it fit for every waist. You can use it on your waist to burn extra fat or you can use it to reduce fat on your thighs and calves area. Not just slimming, this multi functional belt will help you in improving blood circulation and reducing pain. You can use it on your back to reduce back pain or your shoulders and neck to reduce muscle stiffness. Knead away your pressure and stress in your body with our soothing massage cushion. Based on the prehistoric principles of acupressure, RoboTouch Back Massager has four dual-rotating massage nodes that dig deep to help release aches, knots, stress and tension. It's aimed to fit perfectly in the small of your back, adding comfortable support while it massages. 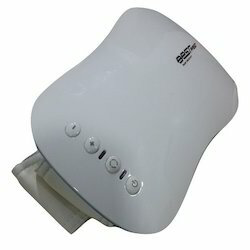 Equipped with four pair of kneading massage head gives positive and negative rotation kneading massage. With hyperthermia function. Each pair of massage head is composed with a big head and a small head. The big massage head have hyperthermia features, the condition of having a body temperature greatly above normal. The temperature can be raised to 45 degree C. The small head have therapy features. These two functions can work alone or simultaneously. Can be used for areas covering upper body, abdominal, thigh, foot & calf. MP3 music comes with headphones and built-in speakers, allowing you to find the balance of feelings and needs, random music with SD Card that you can download music from the website, and choose the most appropriate music. This electronic massager soothes pressure points around your temples, forehead, and eyes, relieving sinus pressure and alleviating headaches without the use of medication. Ideal for those who work on a computer or read for extended periods, the device uses a combination of vibration massage (percussion, kneading, or rolling), air-bag massage (expands and contracts against the eyes sockets), and heat compression to stimulate blood flow, relieve eye fatigue, and soothe sore muscles around the eye sockets. 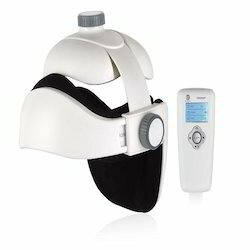 The remote control allows you to quickly customize the intensity and type of vibration massage, select a preferred temperature for the heated compression therapy, and focus the air-bag massage on the temples or eye sockets. You can set the timer for five, 10, or 15 minutes of constant massage. 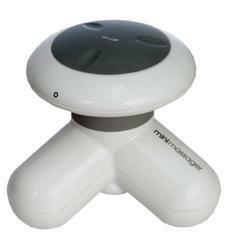 The massager's integrated speaker plays soothing nature sounds that encourage relaxation. Rechargeable, easy to carry anywhere while travelling. 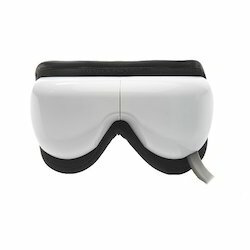 Eye mask with a handy controller that can free your hands & adjust parameters while massaging. 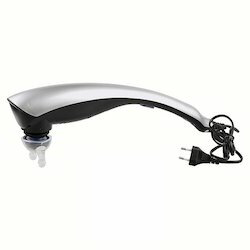 Looking for Massage Equipments ?